Everyone who drives a car should be at least familiar with the idea of jumpstarting your battery. 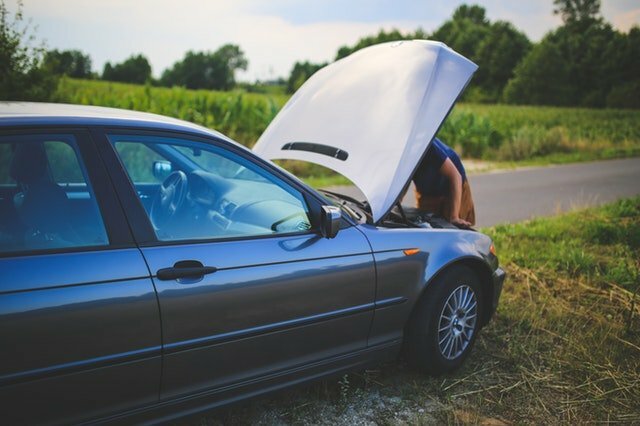 Even if you have roadside assistance, you don’t want to have to wait hours on the side of the road for them to arrive and take care of your issue. 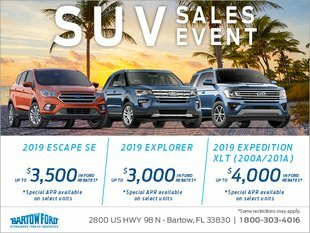 With these tips from your Winter Haven area Ford dealership, Bartow Ford, all you’ll need are some jumper cables and a helpful person with a car or external battery pack to get your car running again. It’s important to keep a set of jumper cables in your car at all times. You can purchase a range of lengths, typically between ten and 20 feet. Remember that while longer cables can add convenience as you may not need to reposition the cars, they can lose power since the energy travels further. You will also notice a range of gauges, with most options being at gauge six. Before you jumpstart your car battery, take some safety precautions. If possible, try to be out of the way of traffic and on a flat surface. Make sure you know whether your car requires any additional steps to jumpstart. Remember not to let the metal clamps touch anything other than your target once you connect the jumper cables to avoid electric shocks. Once you are ready to jumpstart your car battery, have your helper with a functional car park so your cars face each other without touching. Manual transmission cars should be in neutral, while automatics should be in park. Always set the parking brake, and turn off both cars, removing the keys. Start by connecting the positive (red) cable clamp to the dead battery’s positive terminal. Now, attach the other positive clamp to the working car’s positive battery terminal. Link the negative (black) clamp on the working auto’s negative terminal. Put the other end of the negative clamp on any unpainted metal component of the auto. Start the functional car and wait a minute or so. If it doesn’t work, let it charge a bit longer. At Bartow Ford, we want all of our clients to know basic car maintenance, such as how to jumpstart a car battery to prevent being stranded. We do, however, remind you to bring your car to our Winter Haven area Ford dealership’s service center anytime you have a concern about your car’s battery. We can check it for you to ensure it will not run out of juice anytime soon. Make a service appointment online or by calling 800-303-4016.